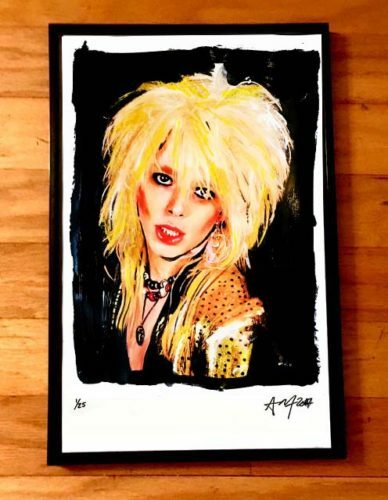 This is a very limited 11 x 17 art print of HANOI ROCKS’ Michael Monroe, printed on thick card stock by artist, Adam Turkel 2019. The poster is signed and numbered by the artist and very cool! It will be mailed flat between heavy cardboard. There were only 25 of these printed and here’s your chance to score this great original collectible!